"If you only listened to this podcast, you might think that Brexit was proceeding smoothly and a glorious future awaits the UK outside the EU"
Brexit is hurtling towards its climax in the coming days and weeks. To stay informed, you should think about subscribing and listening to the many Brexit-themed podcasts that have sprung up since Britain voted to leave the EU. The podcasting format enables the discussion of complex issues in depth and at length. More subtly, it is an intimate and conversational medium that fosters a feeling of connection with the listener. Brexit podcasts come in a variety of formats, though most appear weekly and are usually about 30-40 minutes in length. Most originate in the UK, but some come from Ireland and other places. Most of the podcasts listed here are hosted by journalists, but they also feature academics, activists, Eurocrats and plain old citizens. All of them are to be commended for providing a vital – and free! – public service. But which ones? For those readers/listeners who want recommendations, here is my choice of the best Brexit podcasts, by category. I've also included honourable mentions for those who want more, some of which are Brexit-focused and others which talk about Brexit on occasion. Launched only in Summer 2018, this has rapidly become essential listening for anyone wishing to understand the Irish dimension of Brexit (including the dreaded "backstop"). The format consists of discussion between co-hosts Tony Connelly and Colm Ó Mongáin, plus occasional interviews with politicians and experts. The indispensable Tony Connelly is RTÉ’s man in Brussels, and he frequently gets the scoop on what is going on in the EU ahead of his British counterparts, much to the annoyance of Jacob Rees-Mogg. The podcast gives the view not only from London and Brussels but also from Dublin and Belfast. Holywell Podcast Brexit Focus: a serious monthly look from Derry at Brexit from a Northern Irish perspective. The Irish Times Inside Politics a podcast featuring the top political journos at the paper, with Brexit a frequent topic. The Irish Passport, an engaging series on Irish history and culture, occasionally looking at Brexit in the context of the broad sweep of British-Irish-European relations. If there is such a thing as a Brexit gossip society, this is it. Four BBC journalists (Chris Mason, Adam Fleming, Laura Kuenssberg and Katya Adler) meet up more-or-less weekly for a freeform chat. Don’t be fooled by their self-presentation as Brexit "geeks." What they really are is well-informed and skilled reporters, with an ability to convey an accurate picture of the political state-of-play in London and Brussels. While I was initially put off by their excessive jokey banter, I have learned to stop worrying and love their amusing gimmicks, like the klaxon that announces an emergency Brexitcast and the portentous opening theme music. Brexit: A Love Story? (BBC Radio 4), Mark Mardell’s absorbing history of the UK’s EU membership. Commons People (HuffPost UK), a podcast focused specifically on the UK Parliament. This is an enjoyable, snappily-edited, digest of Brexit-related news and interviews, brought to you from the Red Lion pub in Westminster. The host, Christopher "Chopper" Hope of the Telegraph, is chummy with everyone, on both sides of the debate – he was unfailingly gallant with Remainer hero Gina Miller – but Leavers dominate the discussion. For example, a recent episode featured three Tory MPs (Nicky Morgan, Kwasi Kwarteng and Suella Braverman) with varying views, but all of whom ultimately back Brexit. If you only listened to this podcast, you might think that Brexit was proceeding smoothly and a glorious future awaits the UK outside the EU. Occasionally, there is even a musical guest to sing a song about Brexit which is always, frankly, terrible. Spectator Podcast. The frequent Brexit-related discussion on this podcast – which is broadly but not exclusively pro-Leave – is engaging and reasonable, even if the print edition and blog can sometimes be slightly deranged on the subject of Ireland. This is a gem, for reasons that are hard to describe. As it is basically a deeply wonky conversation among strongly pro-Remain journalists, activists and policy experts (a revolving cast including Ian Dunt, Ros Taylor, Dorian Lynskey and Naomi Smith), it is far more entertaining – and genuinely funny – that it has any right to be. Rather than just snarkily deploring the latest idiocies to emerge from the opposing camp, the Remainiacs find a gallows humour that is rooted in a kind of cold fury. They are earnestly, righteously, indignantly angry in their denunciations of what the Brexiteers are doing to their country. Plus cool theme music by Cornershop. Compulsive listening. New European Brexit Podcast. In this leisurely-paced anti-Brexit podcast, Steve Anglesey and Richard Porritt dish out news, analysis and snark (e.g. "Brexiteer of the week"). CakeWatch. Wonky Brexit chat with Brussels-based British policy experts/insiders Steve Bullock and Chris Kendall. A quirky and affable series of twice-monthly interviews, hosted by James Millar, with Brexit guru Anand Menon as a frequent guest. The two of them interviewed Lord Heseltine on a recent episode, and it was quite delicious to hear the Tory grandee, who has served every Conservative Prime Minister since Winston Churchill, admit that he would rather see a Corbyn government than let Brexit go through. 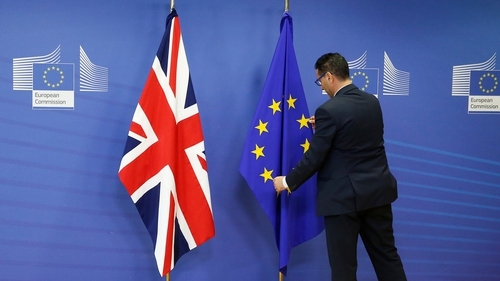 This podcast is part of a massive academic project – UK in a Changing Europe, of which Menon is director – that has produced a wealth of Brexit-related knowledge. Another podcast from the project is Brexit Brits Abroad, a niche (but often fascinating) series about Brits living in the EU-27, studied from a sociological perspective. Also affiliated is Simon Usherwood, whose independent A Diet of Brussels is in fact the oldest Brexit podcast (since May 2015!) consisting of hundreds of episodes, mostly mini-lectures from the tireless and erudite host. Talking Politics is a brainy conversation among Cambridge thinkers on politics, with guests, hosted by David Runciman. Their deep (and often jaded) understanding of EU affairs makes for nuanced talk about Brexit that goes beyond orthodox Remain or Leave opinions.